At various times from fourth grade through eighth, Paul Sidney was my best friend and worst enemy. I have now lived for fifty seven years, and Paul retains a special place of honor, being the only person on the planet that I have ever punched in the nose (or wanted to). That was in the sixth grade, at Steven Millard Elementary school. I can’t even remember exactly what it was about, though Paul did have a biting wit and what we would now call a “snarky” attitude. Very likely it was a sarcastic comment he made at the time about a crush I had on Diane, a girl I first met in square dancing class in fourth grade. Now that I think of it this was Paul’s great talent, being one of the few people in whom I felt I could confide my deepest feelings, and who later would use those secrets to torment me in artful and insidious ways. It has taken four years for the news to reach me that Paul had died, June 12, 2011. He was 53. I had always thought that I would be hearing about Paul, over the years. He was a very good writer in Junior high school, and we had something of a rivalry in creative writing. He could have been a writer, or an actor, graphic artist, or any number of things. I googled his name every so often, looking for books published, lectures given, organizations he had founded, Tony-award winning musicals starring Nathan Lane written by him. Nothing. Somehow he had just fallen off of the map. The obituary was just a note, no detail, no evidence of a memorial with thousands of friends and admirers, remembering him, telling stories, laughing, crying, people who were touched by him. After eighth grade, I and most of my classmates went to Irvington High School. Paul did not. For reasons we never learned, he went to Moreau, a Catholic High School in Hayward. I only saw Paul twice after that. Once was at the Fremont Main Library by Lake Elizabeth, and he was studying at a table, probably for a class. We said hi. The only other time was a few years later, my senior year, when I saw that he was appearing in a Halloween stage production of “Dracula”. He played Beddoes, the assistant. That seemed appropriate. Paul always had a sense of the macabre. I remember hanging out with him, reading his creepy comic books, graphic novel versions of Edgar Allen Poe, “The Telltale Heart,” complete with gruesome beating hearts. For some reason Paul always reminded me of Lucy van Pelt, from Peanuts. Smart beyond their years, a bit crabby, a fussbudget, but with an acerbic wit, a sabre that he could unsheathe at the drop of a malapropism. Something feminine or feline as well. 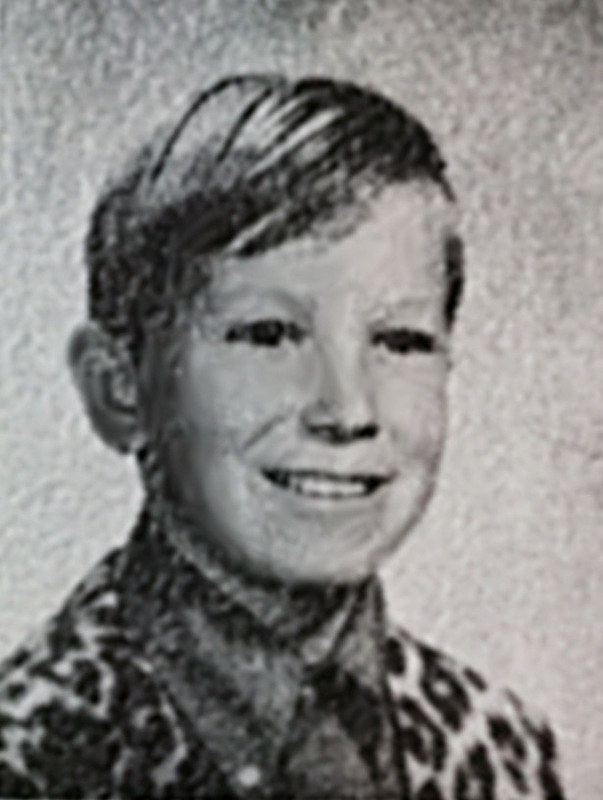 Even this seventh grade photo (above) has him sporting a faux leopard-skin vest. Oscar Wilde. Reading back on this piece, it almost sounds like our relationship was romantic, a love-hate thing, doesn’t it? I don’t know, I was a kid, and pretty much clueless. All I knew was that he was a very smart guy, and one of the few who challenged me in the world of ideas, and words. Perhaps I did love him. I contacted Paul’s sister Kay, and wrote a letter (on paper, with pen), asking about Paul, and what happened. I wish I could say that I was surprised, but was not. Things did not go well for Paul. 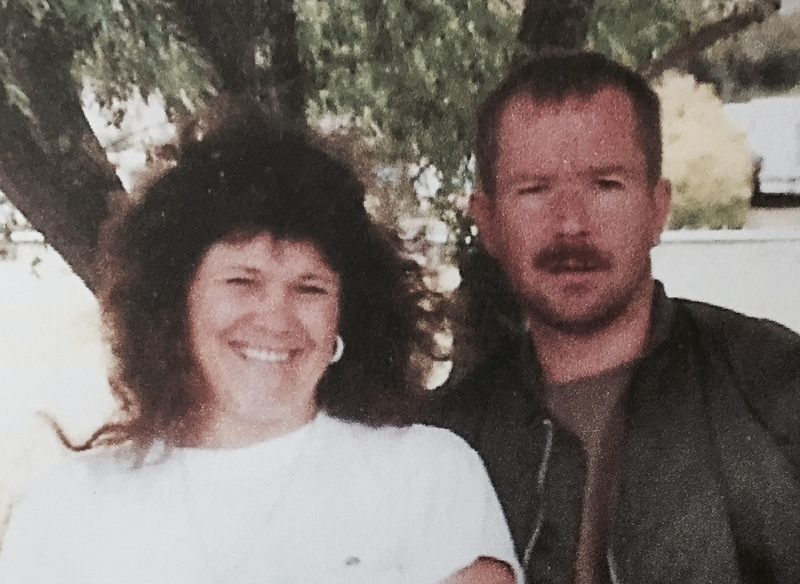 His parents divorced, and in High School Paul began to exhibit the first signs of Schizophrenia, a disease with which he struggled the rest of his life. His family tried to help him, but it is in the nature of the disease that having any sort of life as I would have wished for him is virtually impossible. He ultimately died from the effects of COPD, a congestive lung disease exacerbated by a lifetime of smoking. As I once wrote, a small mouse in Connecticut once taught me that the greatest gift that you can give someone, is to remember them. Each life, no matter how small, touches someone. Their life matters. They had a life, they had a story. This one is for you, Paul. Very touching, you old romantic story teller!